When it comes to winter and Christmas nights out, I love nothing better than a simple make-up look with a statement dark lip. I am always looking for a new dark colour which is long lasting, smudge proof and suits my skin tone! As you can see it does look like it has a shine when first applied but once you have applied it to the lip and let it set it does dry to a matte, without the dryness of a normal matte lipstick. I have to say it is quite difficult to apply evenly as it is quite a thin liquid, I ten to line the lips with it first then fill it in adding a little extra to the centre of the lip. But the finished result is lovely, I am definitely going to be getting my wear out of this and think I have fell in love with liquid lipsticks - they last all day and don't feel thick or drying on the skin! This range does have a lot of different shades so if this is a little dark for you, take a look at the range I'm sure they'll have one for you. 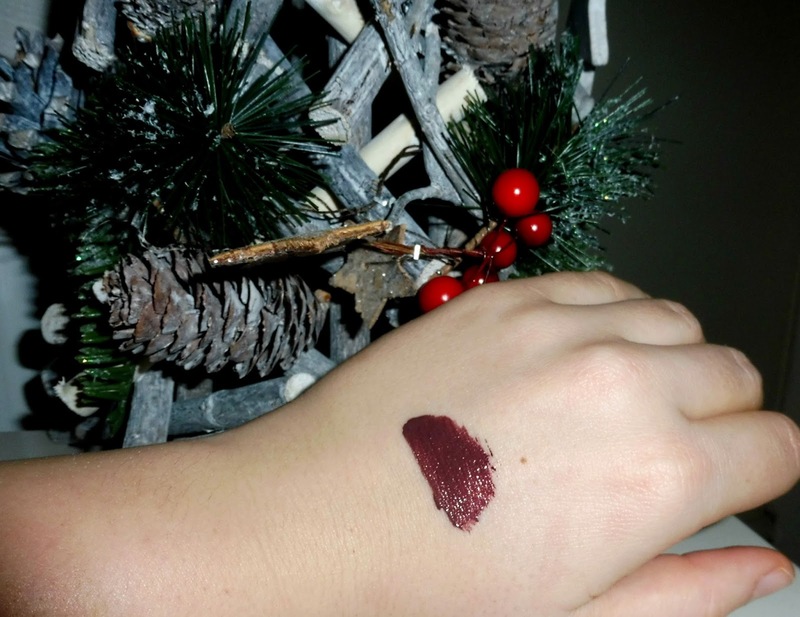 The formula is amazing and I love this for a Christmas lip I will definitely be getting my wear out of this over Christmas and New Year - that's for sure!